Prior to the opening of the convention, which was held this year at the Crowne Plaza Hotel in Cromwell, several workshops/question/answer sessions were held. Both Kay Claiborn and I attended a session on Taskforce for Reimagining the Episcopal Church in Connecticut (TREC-CT). Harrison covered major portions of TREC in one of his recent weekly newsletters. TREC was first presented last year. Major points include greater collaboration across geographic areas of knowledge and talent, for example. New geographic areas are being proposed, which will expand and realign the former Deaneries. Christ Church, Guilford, will be in the proposed South Central Region. The hotel hallways leading to the major convention site were lined with approximately 32 church-related vendors, including Heifer International, Camp Washington, Virginia Theological Seminary, Hartford Seminary, ECW, several booksellers, a stained glass restorer, and many others. ​Convention began at 3 p.m. with an opening hymn and a devotion by Bishop Douglas. There was a “Call to Order” and opening business began. There were 345 clerical members and 355 delegates registered to vote. In pre-convention materials sent to all delegates, there were 11 proposed resolutions to be presented and voted upon over the course of two days. The first resolution was a move to re-admit Christ Church, Watertown, into the union of the Diocese. It was readily approved. Several announcements were made, including the planned dates for the 232nd Annual Convention to be held in Hartford on November 19-20, 2016. Many “housekeeping” motions were then approved, following the recognition of both new deacons and priests. The Annual Budget was presented: The Episcopal Church in Connecticut (ECCT), including all its parishes and institutions, has a total income of $48,800,000. Parish contributions to ECCT’s common life have risen to an average of 9.6% of parish income. Since the budget focused on supporting the proposed TREC mission, a final vote of acceptance was delayed until after presentation of TREC on Saturday. The Convention Budget and all resolutions may be found on the Convention web site. The following resolutions were also presented, discussed, and approved: (2) Clergy compensation, a .65% increase; (3) Term of Standing Committee members; (4) Elimination of Signatures for Nomination; (5) Disaster Preparedness Mapping (that all parishes maintain); and (7) Christ Church Cathedral, Hartford, shall continue as Diocesan Cathedral. A short presentation by Thrivent Financial, connecting faith and finances for good of all, then followed. Just before closing the Friday session, Bishop Douglas announced that there had just been a tragedy in Paris, although specifics were not available. After a blessing and hymn, the session closed for the day. It has been a privilege for me to serve as a delegate from Christ Church once again. Thank you. Join us for a fun evening of good food, homemade cookies, music, and more the night of the Guilford Tree Lighting on Friday, December 4. Spicy, mild, and vegetarian chili will be served at $7 for adults and $4 for children, and hot dogs will also be available. Each meal comes with cornbread, coleslaw, a brownie, and coffee or cider. A cookie sale, wreath sale, and Santa’s Boutique will be going on at the same time from 5-7 p.m.
A concert at 7:30 p.m. will follow in the Sanctuary. A group of pianists, featuring our own Vicky Reeve, will be presenting a festive program of piano music for 4-6 hands on one piano! It promises to be a fun, unique evening for all music lovers. A free will donation will be accepted at the door. The ECW met on October 8th at 11 a.m. in the parish hall. After a short business meeting conducted by president Diane W. Link, our group was very busy making plans for our upcoming "Jeanette Koncz's Famous Hungarian Cheese Spread" fund-raiser, as well as the joint coffee hour with the EECW to introduce our cheese and their homemade "Holiday Breads." We enjoyed a great carry-in luncheon that was hosted by June Chittick. The joint coffee hour with the EECW was held on October 25th and was very successful. This was the first of, hopefully, many more joint ventures with both groups participating. We wish to thank all who pre-ordered both holiday specialties. We next met on November 12 at 11 a.m. in the parish hall for our regular monthly meeting, with vice president Cindy Smith presiding. Our hostess was Jean Courtney. We sadly accepted the resignation of our treasurer, Jean Valentine. Jean has been treasurer for over four years and has done an excellent job. Thank you, Jean, for your many active years of faithful service! Rhoda Whitman was elected into office as treasurer. We know that she will serve our ECW with the same dedication that Jean did. We discussed the progress of our cheese sales and were very pleased at the totals to date. All orders were ready for pick-up after the 10 a.m. service during coffee hour on Sunday, November 22. Thank you to all who supported this venture! Finally, we briefly discussed our annual Cookie Sale to be held during the Chili Supper on Friday, December 4th. This event will be a joint venture with the EECW, and the funds raised will be shared by both groups. Again, we will ask all parishioners to bake cookies for this project, which is popular with the community as well as our parishioners. They can drop off their cookies on Thursday, December 3rd, from 11 a.m. to 7 p.m. in the Guild room, or on Friday, December 4th, in the parish hall anytime between 2 - 4:30 p.m. We are looking forward to a successful event! Mark Sullivan presented a program explaining the new, recently implemented, Christ Church website. He answered many questions on how to access all the components to this system, including Glad Tidings Online. Thank you, Mark, for helping us to understand all the ways we can access Christ Episcopal Church information. 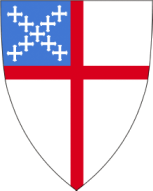 All Christ Episcopal Church women are members of our ECW and EECW. We hope that you will join us either on the first Thursday of each month at 7 p.m. (EECW) in the Guild room or the second Thursday at 11 a.m. (ECW) in the parish hall. We start with a brief business meeting, followed by a carry-in luncheon. Each month, a hostess volunteers to set up the tables and make tea for this meeting. All other Thursdays, we meet informally in the Guild Room at 10:30 a.m., after the conclusion of Bible study. A volunteer hostess provides dessert and makes tea. We hope you will join one or both groups, and we look forward to the pleasure of your company. General Session I on Saturday, November 14, opened with a hymn, a collect, and a reading of the lesson (Mark 13: 1-8). Bishop Laura Ahrens preached on the lesson. She was followed by the Reverend Leng Lim, a native of Singapore and graduate of Princeton, the Harvard Divinity School, and the Harvard Business School, who gave a presentation entitled “Creative Imagining.” After leading the delegates in prayer and breathing exercises, Rev. Lim asked the delegates to engage with each other in a series of questions that are used by organizations that deal with homeless youth and are found to be much more effective in reaching out to them than the usual questions about education, family circumstances, and other background information. General Session II began with a sermon by Bishop Ian Douglas, which is available on YouTube and on the convention Web site. In his sermon, he spoke of new ways the Episcopal Church in Connecticut (ECCT) is becoming more missional. He explained that TREC-CT empowers “ministry networks” by dropping the deanery system and replacing it with missionaries in six regions. His sermon was followed by a TREC-CT (Task Force for Reimagining the Episcopal Church in Connecticut) presentation. Canon Tim Hodapp spoke about the ministry networks that would be set up as a result of TREC-CT. Each of the six regions in the state will hire a half-time missionary, lay or clergy, “to inspire collaboration and build community” within the region and across ECCT. A Mission Council, which will include Bishops and Officers of ECCT and 21 elected members, will replace the Executive Council and Board of the Missionary Society and will serve as ECCT’s governing body between conventions. The Mission Council members will serve the entire diocese rather than being representatives of their own parishes or regions. The delegates then broke out into regional sessions to discuss the implementation of TREC-CT. We met with the South Central Region, to which Christ Church, Guilford, will belong. The Rev. Amy Welin, of St. John’s on the Green in Waterbury, led the delegates from our region in a discussion of such questions as: What excites you about TREC-CT? What ministry networks are already working in your community? What needs clarification? What will it look like five years from now? We were then asked to list potential venues for the regional convocations that will take place before July (there will be one for each region). The purpose of the regional convocations is to figure out how to organize the region and how to hire a missionary. After a working lunch during which there was a presentation on Camp Washington, the convention reconvened. Resolution #6 – Moving Beyond Limiting Gender Language in our Common Life -- passed. Resolution #8 – Amended Diocesan Constitution (revisions to the ECCT Constitution as a result of TREC-CT recommendations) -- passed. Resolution #9 – Revised Diocesan Canons (revisions to the Diocesan Canons as a result of TREC-CT recommendations) -- passed, as amended. Resolution #10 – Budget of Convention (the 2016 budget) -- passed. Resolution #11 – Endowment Stewardship & Mutual Responsibility -- passed, as amended. Resolution #12 – Response to the Global Refugee Crisis (committing the 168 congregations in Connecticut to work together to co-sponsor a minimum of 30 refugee families in 2016 through Integrated Refugee and Immigrant Services [IRIS]) -- passed. The convention concluded with a communion service, blessing, and dismissal. The Evening ECW has been going strong for almost seven months, so we'd like to take a moment to thank everyone for their hard work -- especially the morning group for all of their help, support, and encouragement. Many people have asked why Christ Church now has two ECW groups; the short answer is that the evening group is the "ECW in training"! The leadership of both groups works very closely in calendar planning and on each other's projects. There is also a historical precedent for this. In the past, Christ Church had two groups, one in the morning and one in the evening, to help accommodate all the women in the church. Either way, it's a great way to meet people, make new friends, and serve our church at the same time. We are at the busy time of the year for everyone, but we continue to need your help and support to keep our group strong. Remember that all women of the church are ECW members by definition, so any time you'd like to join us or lend a hand, we would be overjoyed to see you. Our next meeting will happen on Thursday, December 10, at 7 p.m. at the church (this has been changed from the normal "first Thursday" date due to the Chili Supper), and our youngest member will be hosting. This will be an important planning meeting and everyone's input is needed. We will be discussing and voting on the “GO RED CAMPAIGN,” learning about why we are collecting corks, and discussing our next big fundraiser. If you cannot attend but would still like to be part of this dynamic group, please send Jane Ferrall your email address (contact her at jjferrall@yahoo.com) and you will be kept informed on projects and ways that you can help us. Once again, thank you so much for all your help and support! Last month the Acolyte article focused on our newest members. This month I’d like to say a few words on becoming a crucifer, the person who carries the cross. The qualifications for becoming a crucifer are: (1) you have to have been an acolyte for a year or two and (2) you have to be in at least the 6th grade. From the time the youngsters become acolytes, they have their eyes on becoming a crucifer, and are very vocal about letting me know that they are qualified and ready to be trained! In the past year, Mariam Kish, Keelyn Ervin, Megan McNamara, Lauren Walczyk, and Lilah Monet have all moved on to become crucifers. Natalie Bryan is our newest crucifer. Just as when they were acolytes, they carry out their newest obligation with great respect in the traditions of our Episcopal faith, and do so with great pride and reverence. If you are between the 4th grade and high school and would like to be an acolyte, just contact Pat Wakefield in the office, Fr. Harrison West, or myself following the 10 a.m. service on Sunday morning. Training is ongoing.